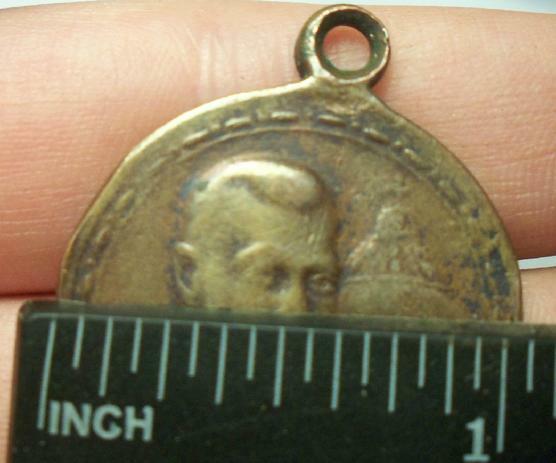 Light bronze Medal awarded to all individuals who held positions at the Imperial Court or in the government service, members of the State Council, member of the Duma, the clergy, persons holding elective office of Nobles Committees, officials of the various Army, Navy, and civilian departments, schoolteachers, artists of the Imperial theatres, Red Cross Nurses, enlisted personnel of the Army and Navy and of the boundary guards, all police and prison guards, all police and prison guards who were on duty on February 21, 1913. 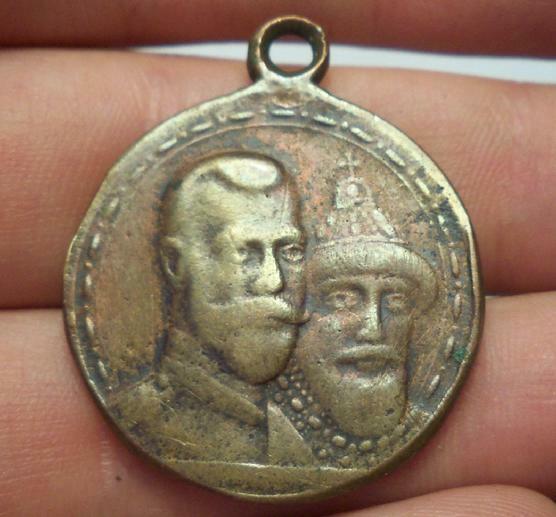 Obverse has bust of Emperor Michael Fedorovich (first Romanov Emperor) and Emperor Nicholas II (the last Romanov Emperor) facing right. 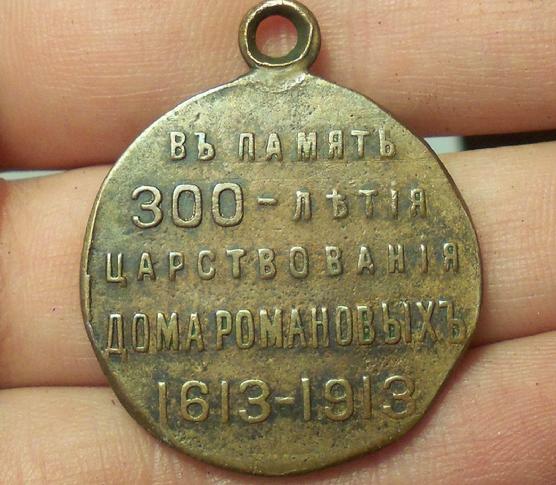 Reverse has the Inscription, IN MEMORY OF THE THREE HUNDREDTH ANNIVERSARY OF THE RULE OF THE HOUSE OF ROMANOV 1613-1913.